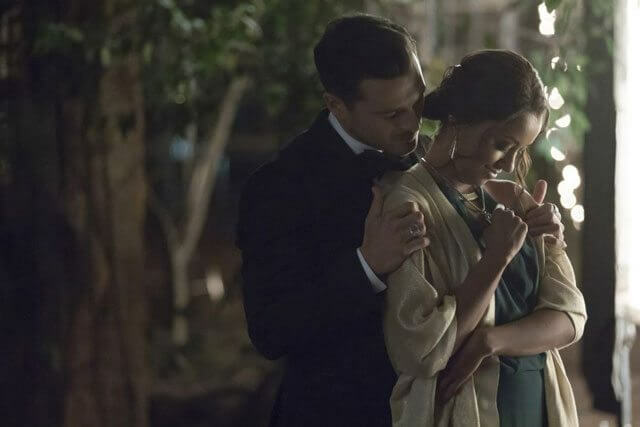 We’re moving closer to the end of The CW’s The Vampire Diaries with season eight episode eight finding Sybil and Caroline searching for a bell, Damon proving he’s still attached to Elena, and Stefan in full-on Ripper mode. Season eight episode nine is titled “The Simple Intimacy of the Near Touch” and will air on January 20, 2017. Geoff Shotz directed from a script by Neil Reynolds and Penny Cox. 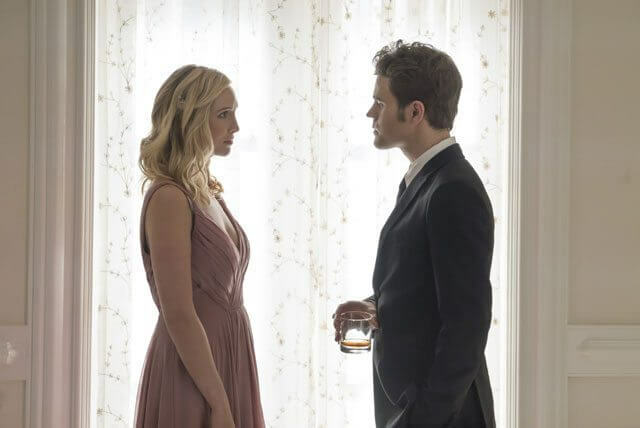 The cast of season eight includes Paul Wesley as Stefan, Ian Somerhalder as Damon, Kat Graham as Bonnie, Michael Malarkey as Enzo, Candice King as Caroline, Matt Davis as Alaric, and Zach Roerig as Matt. 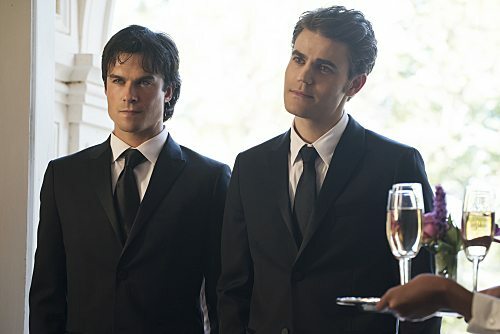 “The Simple Intimacy of the Near Touch” Plot: THE PAGEANT – Stefan (Paul Wesley) and Damon (Ian Somerhalder) return to Mystic Falls at Sybil’s (guest star Nathalie Kelley) request as she is still in search of the historical artifact. 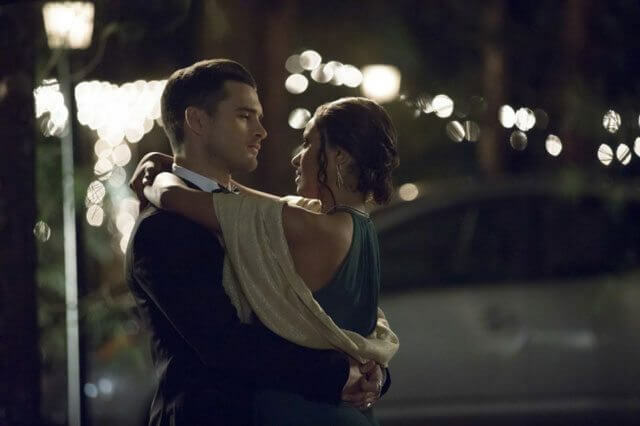 Bonnie (Kat Graham) returns from Paris wearing a vile of Enzo’s (Michael Malarkey) blood making Caroline (Candice King), wonder if she will become a vampire. 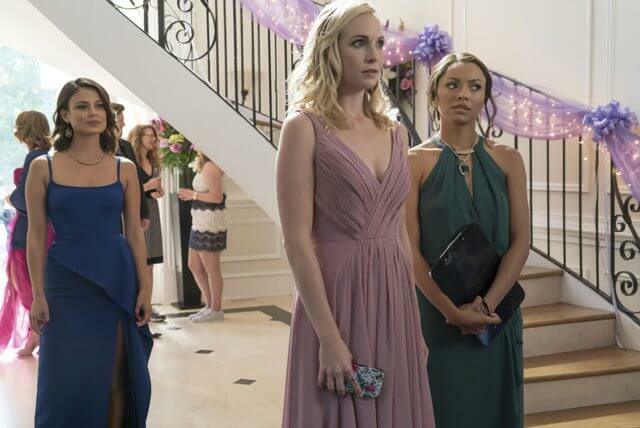 Stefan, Damon, Caroline, Bonnie and Enzo all attend the Miss Mystic Falls pageant where Sybil continues to taunt Damon with memories of Elena.